Although surgery and systemic therapies have improved survival outcomes among patients with breast cancer who develop metastatic spinal cancer, the incidence of complications — including infections and blood loss — has increased as well. Open spinal decompression with internal fixation has been associated with increased morbidity and mortality, and previous studies have suggested that open surgery may not be essential for spinal metastases. Microwave ablation uses electromagnetic microwaves to produce friction and heat, leading to the destruction of spinal metastases, and minimally invasive open decompression therapy has been shown to reduce the impact on the spine, improve pain, and have lower rates of complications compared with open surgery. 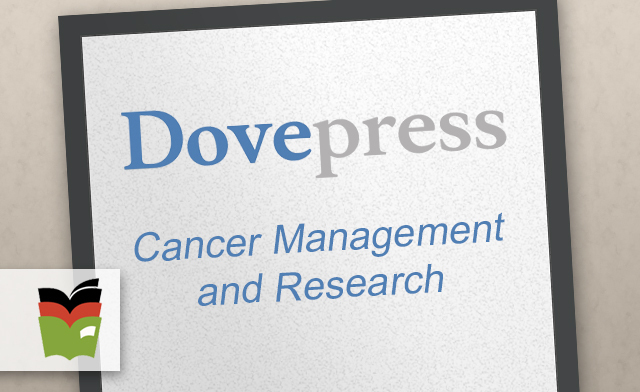 For this study, the authors investigated the efficacy of microwave ablation and minimally invasive open decompression treatment for breast cancer patients with thoracic metastases. Objective: The incidence rate of thoracic metastasis from breast cancer is increasing. Microwave ablation is one type of clinical therapy used to treat metastatic spine disease, although it can cause protein denaturation and immediate cell death, and coagulative necrosis can occur. Minimally invasive open decompression is associated with lower rates of surgical complications in comparison to traditional open surgery. Therefore, it is an alternative therapeutic option for spinal metastases. This study aimed to assess the efficacy of microwave ablation with minimally invasive open decompression in the management of breast cancer patients with thoracic metastasis. Methods: This single-institution retrospective study investigated 23 cases of thoracic metastasis from breast cancer treated with combined microwave ablation and minimally invasive open decompression. Patients that presented with indications for surgery underwent surgical treatment. Data were collected for pain scores, the Frankel Grade classification system for acute spinal injury, the Karnofsky performance status (KPS) scale and complications due to treatment. Results: Of the 23 patients included in this study, all were successfully treated with microwave ablation and minimal invasive open decompression using our metrics. Of those, 18 patients (78.3%) showed improvement in their KPS results while 5 (21.7%) had alleviation of KPS. All 23 patients showed improvement in their Frankel Grade, suggesting improved neurological function following surgery. Most of the patients reported pain relief. Postoperative complications occurred in 4 patients. Conclusion: Microwave ablation combined with minimally invasive open decompression therapy for breast cancer patients with thoracic metastatic tumors is an alternative treatment that maintains or improves functional outcome in comparison to open surgery. The prevalence of breast cancer in China is increasing. Fortunately, advances in systemic therapies and surgical techniques followed by radiotherapy have prolonged survival in patients who develop metastatic spinal cancer. However, the incidence of complications following open surgery increased by 25% over the same period.1 Complications mainly include extensive blood loss and postoperative-related infection.2–4 Minimally invasive open decompression can reduce the impact on the spine and alleviate pain, which can promote early movement and rehabilitation. With the development of new technologies and therapies, such as microwave ablation, it is now possible to provide an alternative to open surgery to treat spinal metastases. Microwave ablation applies electromagnetic microwaves to the target tissue via an antenna, resulting in the agitation of ionic molecules and frictional heat. Subsequently, the target tissue undergoes coagulative necrosis. Microwave ablation is particularly effective against osteoblastic lesions. However, it has some disadvantages, including potential irreversible damage to the surrounding tissue and structures due to overheating. Therefore, strict temperature control during metastatic tumor ablation is imperative in order to prevent spinal injury. Despite this, research indicates that microwave ablation is an effective method for treating spinal metastasis.5,6 In comparison, open spinal decompression with internal fixation is strongly related to increased morbidity and mortality when used to remove spinal metastasis.7–9 Furthermore, research suggests that traditional open surgery is not essential for spinal metastasis.10 The ultimate aim of both open and minimally invasive therapies is to relieve pain and improve neurological function by surgical decompression and stabilization of the spine. Spinal metastasis usually occurs in the anterior and posterior columns of the spine, so it is necessary to carry out circumferential decompression. Both posterior and lateral minimally invasive open decompression approaches can be used to carry out circumferential decompression. Another distinct advantage of minimally invasive open decompression is that it reduces the operation time, the number of hospitalization days and the complication rates, including hemorrhage. This is especially beneficial for weak patients. The present study investigated the use of microwave ablation and minimally invasive open decompression treatment for breast cancer patients with thoracic metastases. It evaluated the efficacy of this technique by observing the patients’ functional outcome, neurological improvement, pain scores and complications.